Categories: Chocolate, Food and Wine, Hampers, Sustainable, Vegan, Wine & Chocolate Gifts. Award winning combination of Jacquart Champagne and indulgent Booja Booja Champagne Chocolate Truffles are the the ultimate Champagne and Chocolate Gift. The Champagne is sustainably produced with organically grown grapes and Booja Booja Truffles are deliciously rich and indulgent, but lower in sugar and saturated fat compared to other luxury and everyday chocolate brands. That’s kinder for the environment and healthier to give! 12 luxury chocolate truffles melt in your mouth with inebriated organic French Fine de Champagne. Deliciously indulgent truffle chocolates to enjoy anytime! Welcome to Food of the Gods Champagne and Truffles Gift for UK, Europe and International Delivery. 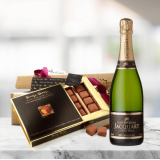 Our Champagne and Truffles Gift contains award winning and sustainably produced Jacquart Brut Mosaique Champagne which is perfectly matched to enjoy with organic and vegan friendly Booja Booja Champagne Truffles. 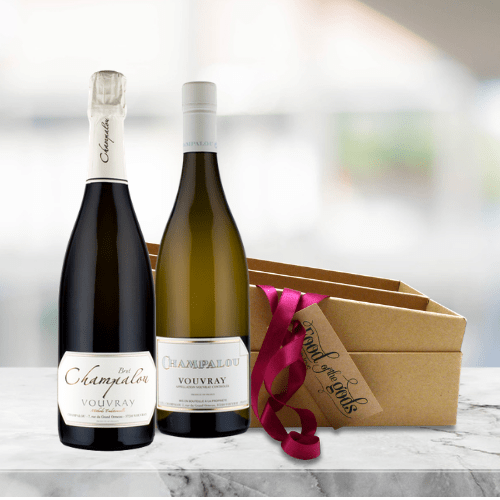 The Champagne and Truffles Gift is presented in our stylish gift box with ribbon and your personalised message and is the ultimate Champagne and Truffles Gift worth giving! At Food of the Gods we are passionate about food and wine that tastes delicious produced using the highest quality ingredients and we also care about the environment and firmly believe in sustainable food production that is kind, caring and nurturing to our planet along with high welfare standards for animals. 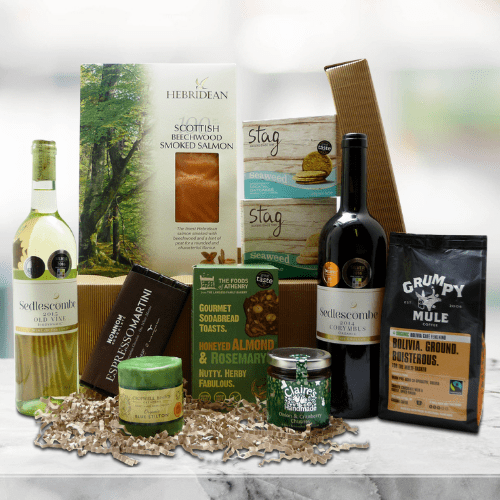 Food and Wine Gifts, Chocolate Gifts, Sustainable Hampers, Vegan Hampers, Organic Hampers, Corporate Hampers, Hamper UK Delivery, Hamper Europe Delivery, Hamper International Delivery.